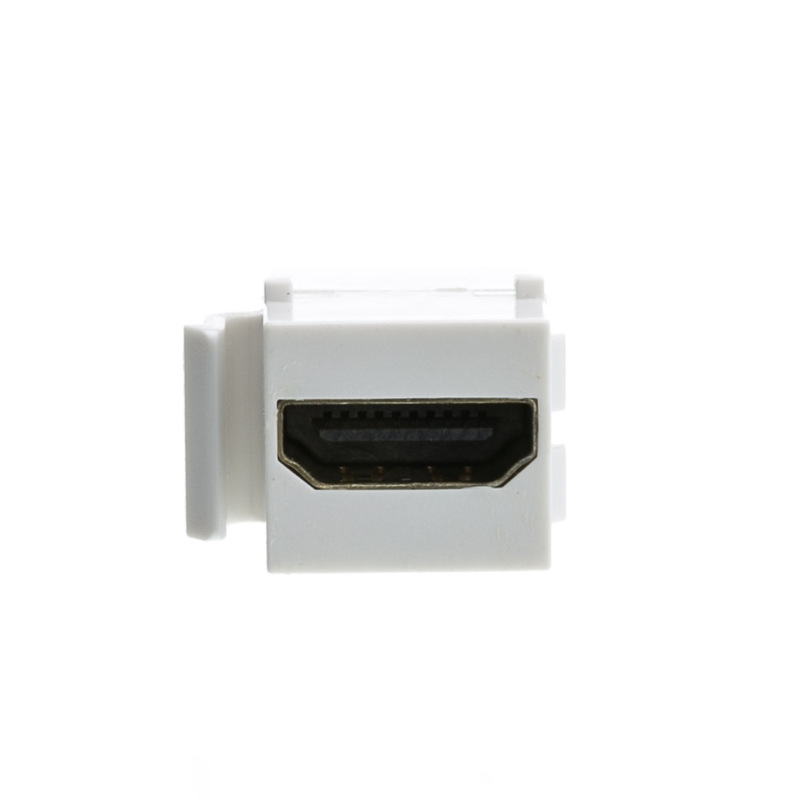 This adapter fits into our standard keystone wall plates and allows you to terminate your HDMI run at a wall plate. This helps eliminate a lot of the mess of cables in a home theater. 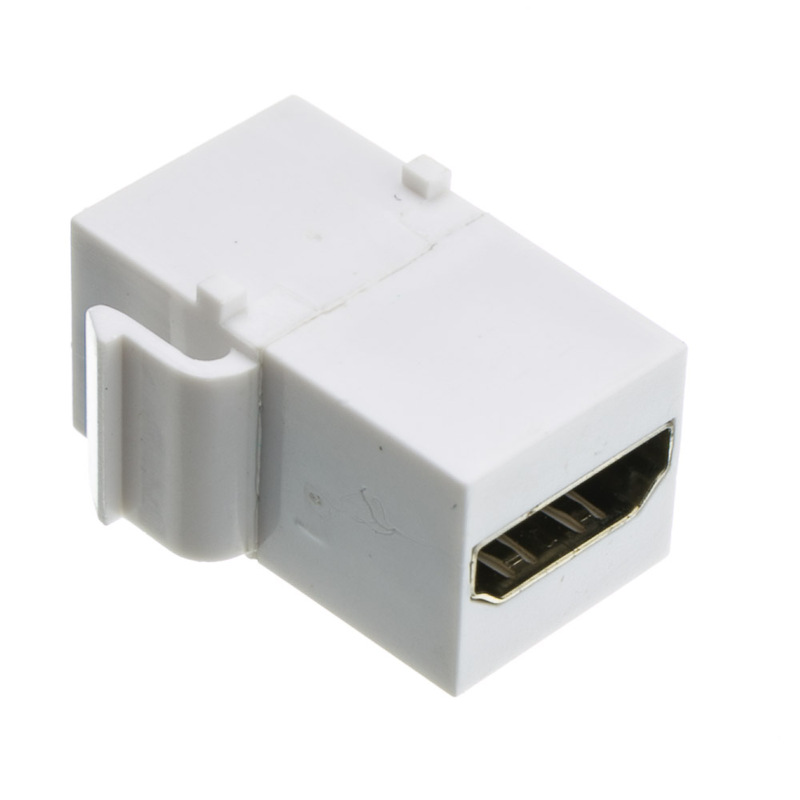 Due to space constraints within some walls, you may need to use a 90 degree HDMI adapter in conjuction with this part. 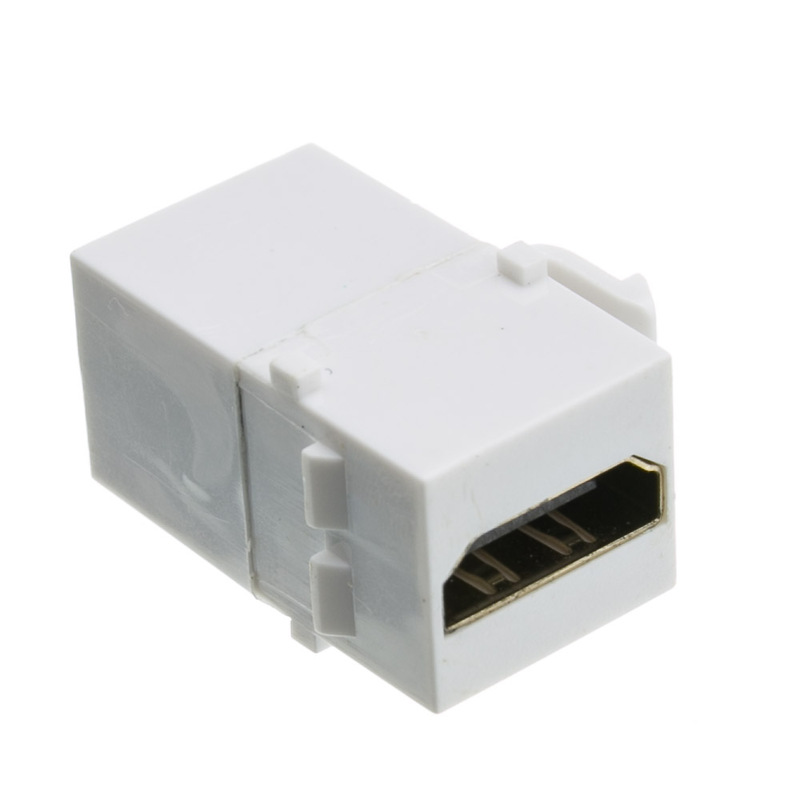 HDMI in a keystone?! Yes sir! These keystones fit in to the wall plate very firmly. 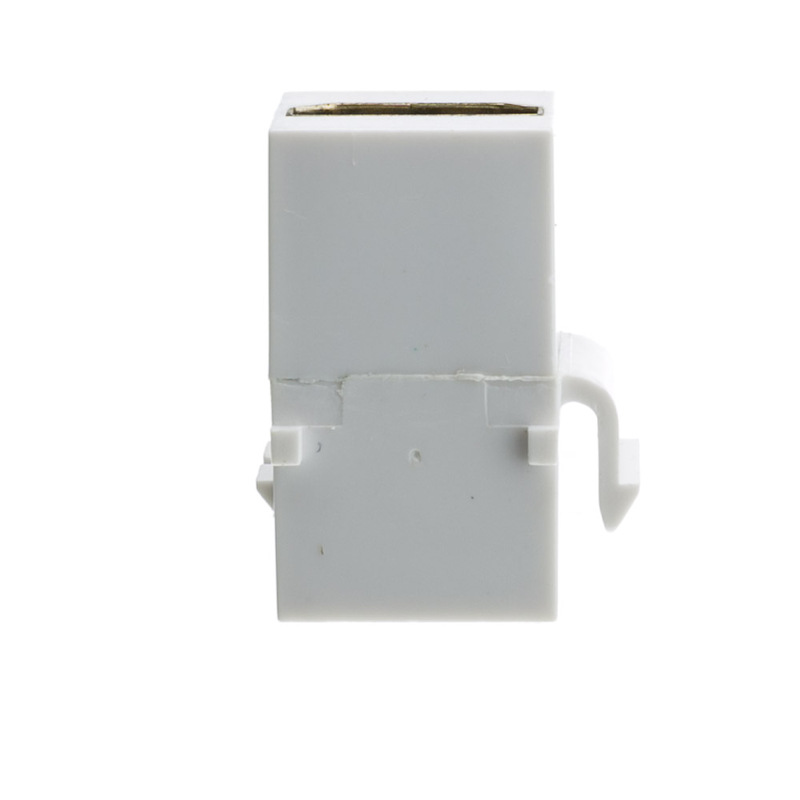 I really like this as with some other keystone's I've used from other companies, and they don't fit well.I've needed to open up a wall plate just to snap the keystone back in to place. Excellent item, exactly what I needed. Nice and compact and fits in a standardized opening.